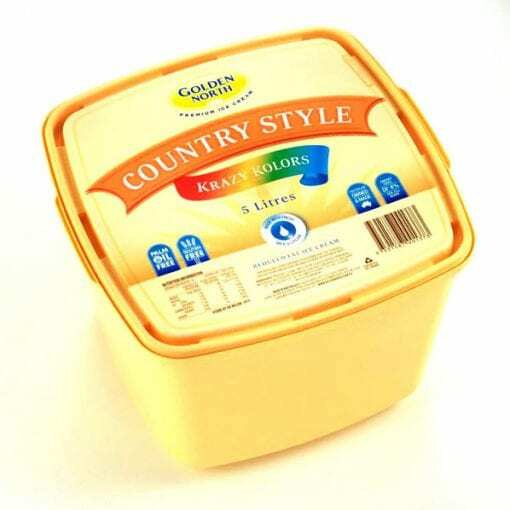 Premium Krazy Kolors reduced fat ice cream made from fresh milk and cream. Toffee flavoured and consisting of Yellow, Red and Blue bands swirled together. 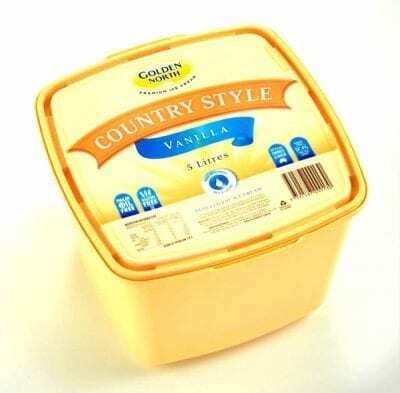 Country Style is a quality ice cream at a more affordable price. Krazy Kolors is the style that appeals to kids of all ages. Krazy Kolors is a mix of 3 bright colours with a great toffee flavour. 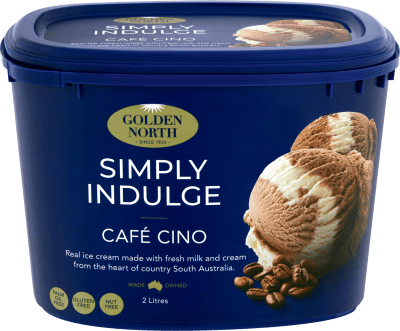 A reduced fat ice cream that proves you don’t have to sacrifice quality to get a cost effective alternative. 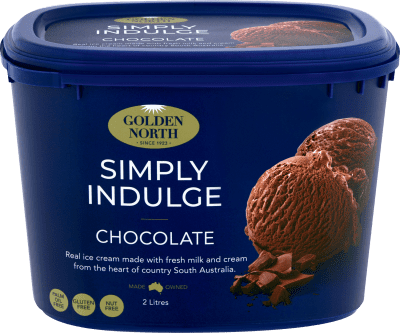 Ingredients: Fresh Milk, Sugar, Fresh Cream, Glucose (derived from Maize), Milk Solids, Maltodextrin (From Maize), Vegetable Gum (407a, 412), Emulsifier (471, 477), Colour (122, 124, 102, Annatto Extract, 133), Salt, Flavour.